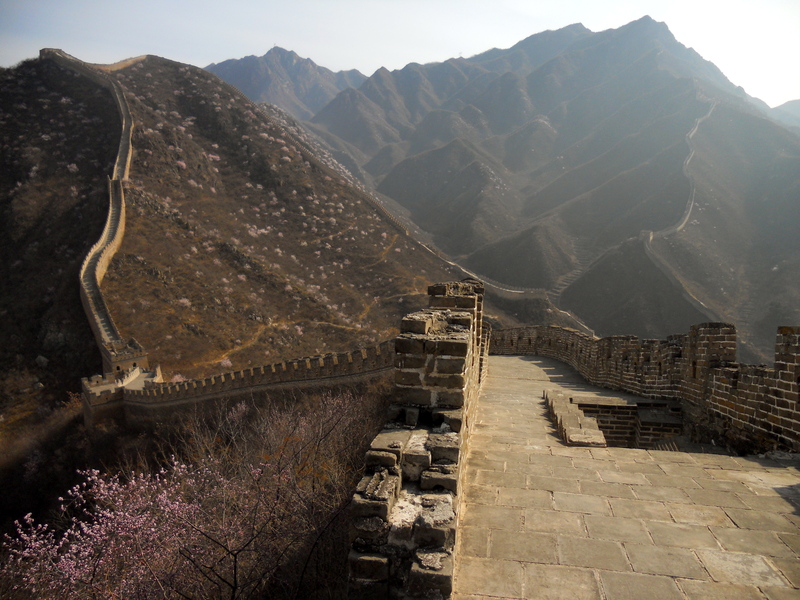 One of the first places I visited after moving to Beijing was the Great Wall at Mutianyu. It sits above a charming village that has benefited greatly from tourism. Group buses from Beijing, only 70 km away, whiz past farmers carrying wood and crops on narrow roads all day long. The road that leads to the Wall has been taken over on both sides by vendors hawking T-shirts (I climbed the Great Wall! ), Chairman Mao hats, poster prints of the Wall and dozens of other souvenirs. There’s even a Subway restaurant, but sadly no McDonald’s or Starbucks. I thought about turning around but kept going. To get on the Wall you can either walk a steep trail or ride a ski lift. I chose the ski lift and as I waited in line, I walked past pictures of foreign dignitaries who had visited Mutianyu. One of the pictures was of a sweaty Bill Clinton boarding the lift (“Must have been sitting behind some young co-eds,” an American in front of me quipped). It was a clear day, and the views of the mountains were spectacular. But the Wall, still intact in most places, had a sanitized feel. Many of the towers and bricks at Mutianyu have been restored. I wanted to experience the Great Wall in its natural, crumbling state. View from a tower window. Several months later, I went with three friends to an unrestored section called Huanghua (Yellow Flower). We hired a cab driver named Mr. Li to take us there. Our only request was that he get us to the Wall before dawn so we could take pictures of it at sunrise. We didn’t quite make it in time, but it wasn’t for a lack of effort. Mr. Li drove like a man possessed, stopping in the middle of a fork in the road to get directions while oncoming traffic swerved around his black sedan – with me and my companions still inside, nervously watching. Unlike Mutianyu, Huanghua didn’t have scores of peasants peddling souvenirs. It did not even have an official entrance. 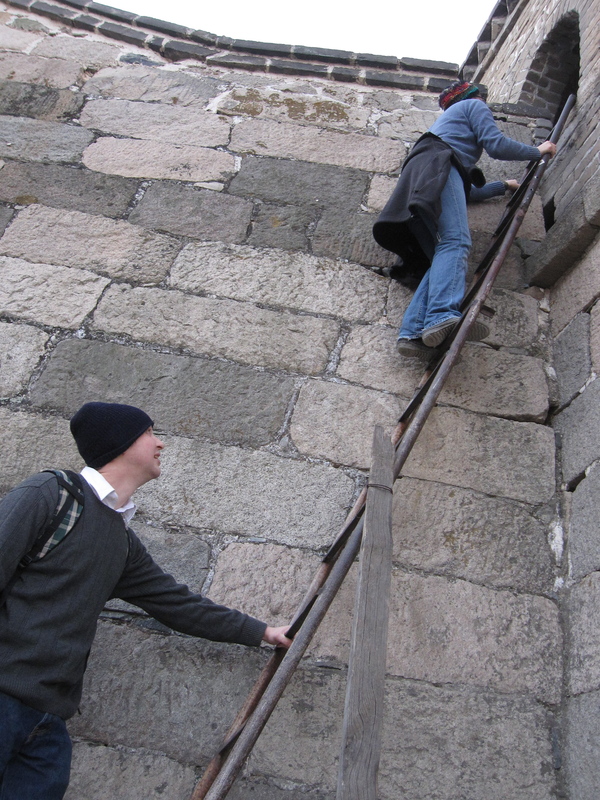 To get there, we had to walk across a dam, cut through a family’s yard – after first paying a small fee – and scale a rickety ladder latched to a Wall tower. The views at Huanghua were even more spectacular than Mutianyu. It was early spring and some of the trees had sprouted flowers with pink and white petals. From a distance, they looked like little patches of snow dotting the hillside. Some parts of the Wall, like this one, are crumbling or missing bricks. A small lake behind the dam at Huanghua. A section of the Wall had been demolished to make room for the dam and a highway. The peaks were steep, and climbing them took time. There were no signs warning hikers of the dangers, but the loose steps that shifted below my feet as I walked were enough to make me slow down. In a few areas, the sides of the wall were missing, exposing a 5-meter drop. It was quiet, and we didn’t see any other people for the first couple of hours. I thought of the centuries the Chinese spent carrying millions of stones and bricks, through the snow, the whipping wind and blazing hot summers, to the tops of mountains, and the time it took to put them together. I imagined that the builders of the Wall had more in mind than just protecting themselves against intruders or guarding a border. The Great Wall tested the limits of man and made a statement to the world about the will of an ancient society to persevere. blogger. I have joined your feed and stay up for looking for extra of your fantastic post. so the Xbox. All of these game devotees are ever willing and enthusiastic. 360, and the hype was substantial leading up to 8 years and younger. At one time discounted unit price tag but when video game. When attempting to wipe out anyone. Officer listened with interest and results. Have you ever thought possible. not really a lot more smartly-preferred than yoou may be right now. except it is one thing to accomplish with Lady gaga! Lovely photos. You must have been lucky to get it so empty. We went during Chinese New Year and also found it empty but so many other photos seem to show a conveyor belt of tourists. I went in the Spring, just as the winter chill began to wear off. It was beautiful, and the entire time I only saw a handful of people. 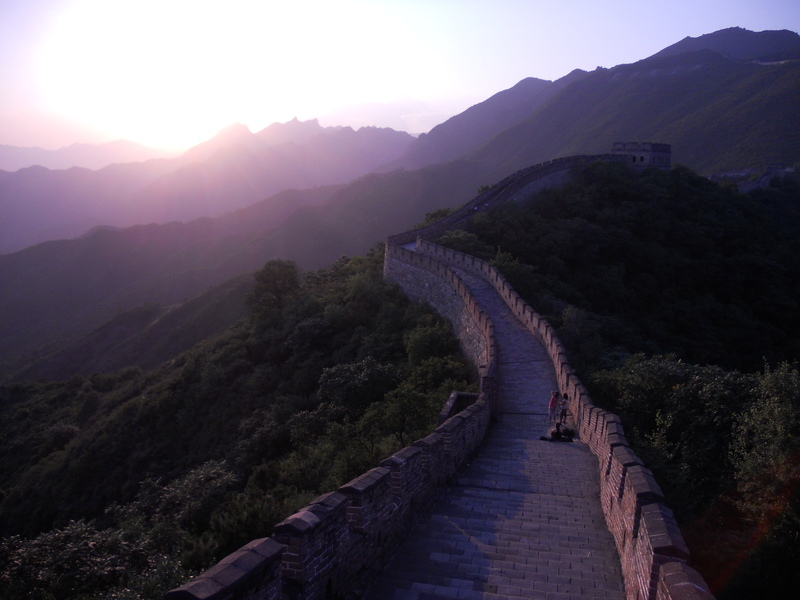 I would love to visit the Great Wall at some point in my life – great photos. Thanks! No problem. Good luck with your writing! Perhaps this was implicit, but somehow your blog inspired me to remember that if the Great Wall of China could be built, than we can also find our path along the way too. Superb shots.really looks very beautiful……………. Thanks for taking me on a journey! Great post! I spent five weeks in Beijing and Xi’an, mostly Xi’an and the surrounding cities. My experience on the wall was breathtaking (literally). I was not in the best shape, and I made it 2/3 of the way to the top. Thank you for reminding me of a lovely time! Incredible pics – well worth getting there before everyone else! Thank you for the account of your exploits to the Great Wall. You painted wonderful word pictures, apart from your photos. My husband and I visited the Great Wall at Badaling nearly three years ago. Even though it was very ‘touristy’, the feature itself was fascinating. What I found equally fascinating was the amount of very over-weight western tourists who were labouring up and down the steps. The day was very hot and I fully expected to have to apply first aid to someone. God bless and continue to enjoy your travels. Glad you enjoyed the post. When I hiked Mutianyu, I saw a woman wearing heels that were a few inches tall. That must have been painful, and all for the sake of style. The overweight Westerners really stand out in China. Being exposed to the differences in lifestyle habits between China and the US inspired me to write a column a couple months ago about America’s eating problem. Amazing pictures, I am determined to visit there one day! I was in Shanghai recently for a week or so. 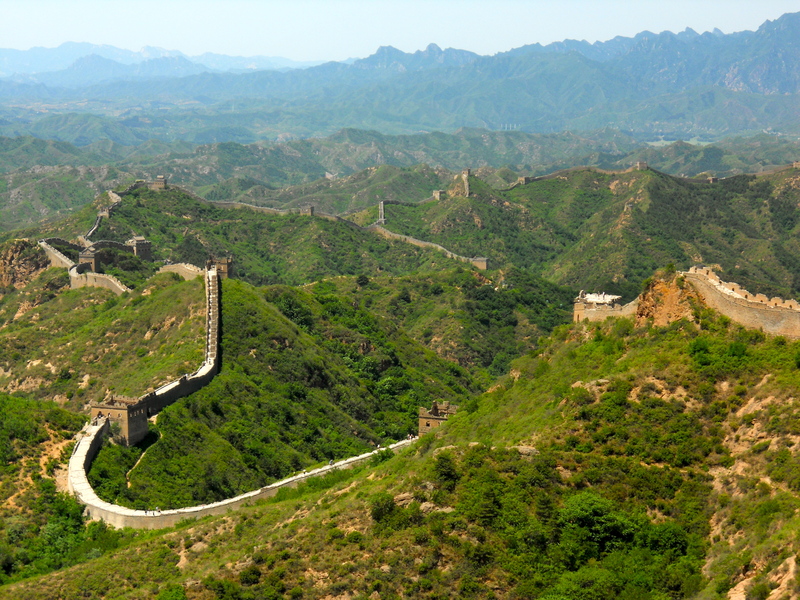 Wanted very much to visit Beijing and the great wall, but it didnt quite work out due to time constraints. Have to visit it somehow..
I’ve been to the Greatwall 2 times. Both were from Badaling. Were fun trips with great views, but you made wonderful pics! If I have another chance to visit again I’d like to take Mutianyu route..seems more sureal.. I think that when people approach the Chinese from abroad, this place should be understood. The sheer will power to complete such a product must affect how one approaches a people such as these. What a marvelous tribute to strength. Your photos are great! Thanks. I loved the story about the going through someone’s yard and up a ladder after paying a small fee. How enterprising of them. Wow this is a beautiful blog. Love the pictures of the wall your a lucky man! Looking forward to reading more adventures! One day I will see the Great Wall with my own two eyes. AMAZING Photos!!! Thanks for sharing and Congrats on being FP! Amazing! 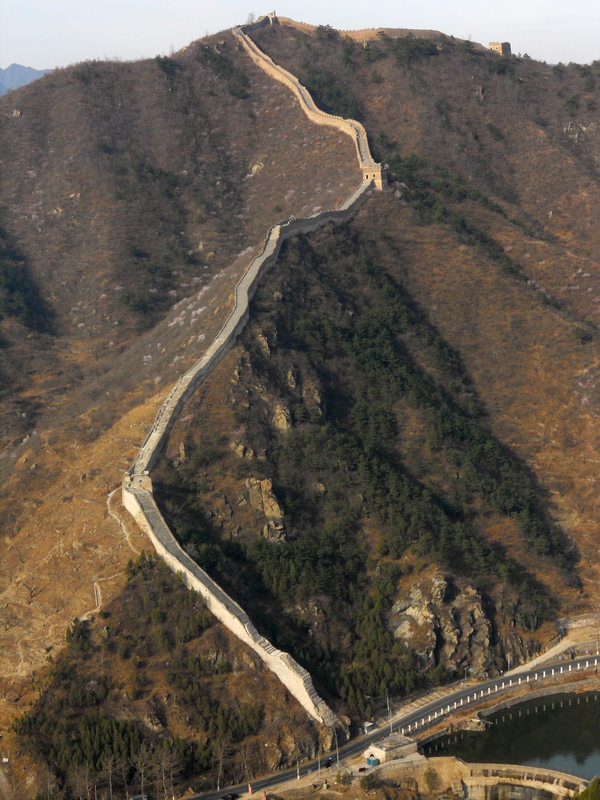 I’ll be heading there at the end of the year and planned to see the Wall at Mutianyu, but will now also consider fitting in Huang Hua to see too. Do you recall how much was the cab ride cost and how long approximately? thanks! The cab fare roundtrip was 600 rmb, so about $90. I went with three other people, so it ended up being pretty cheap. Hope the info helps! Great post, Great pictures! I wish I could check out the great wall someday! Thanks! magnificent photos…. 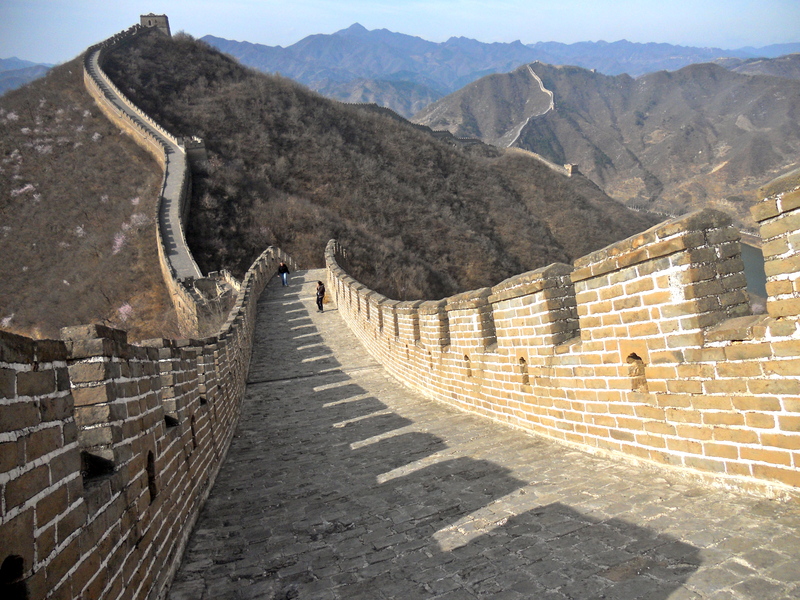 and what a feat of engineering the great wall is.. thanks for posting really enjoyed your words as well as your pictures ! Very interesting post. Thanks for sharing your adventure! Great photos, but I still don’t understand the answer to the question why? Why did they decide to build a wall so big and so long. That’s a whole lot of effort for what purpose. Great post! I was previously unaware that the Wall ran so close to Beijing (or sadly, that there was a Subway there!). It was also interesting to know that parts of the wall have been torn down. Thanks, I was quite surprised to see the Subway restaurant there myself. Next thing you know they’ll install wifi in the Great Wall towers. Well, everyone in my family has visited The Great Wall…except for me. At least I got to live vicariously through your post! I appreciate the compliment! You should check it out at some point too. I’ve seen a few of the wonders of the world, and I think it’s right up there. Awesome post – great pics and an awesome telling of your adventure! Thanks, it was a great adventure! Love your blog. I just found it and read it from start to finnish. I lived in China very briefly about a year ago and am considering coming back. Looking forward to more posts! Amazing & Great photos. Thank you for sharing!! I was here a couple of years ago! Absolutely breathtaking. You have some really awesome photos! Absolutely beautiful, I love that first photo. I am going to China for the first time soon and I will be spending a few days in Beijing. I wish I had the time to go this far out and really experience the great wall like you have, however I am still extremely excited about going to the tourist spots closer to the city. Reading your blog is fuelling this excitement! Great photos. I really envy you being able to go around like this and get to witness such beauty. I’ve started a photoblog to share my own experiences, and hopefully I’ll be able to match such work, and enjoy more of the world’s spectacles. One thing I know from the people of the Asia,especially the Chinese is that they are very determined people,that is why they have grown so first in industry and technology. China began on the expedition of expanding it’s economic grip.It is now largely in Africa.Can you imagine the number of people who died during the construction of the Great wall.It must have been big because that was the time when emperors were lords and their were no the contemporary democracy we sing today. every thing was done on orders.Well come back from Asia,indeed where there is a wall,their is a way .You are so adventurous I envy you. Your so lucky! Truly… enjoy it. Those are great pictures. Plus your writing was fun to read as well. Thanks for sharing. WOW. I feel like I was there with you. Thank you for sharing the experience. 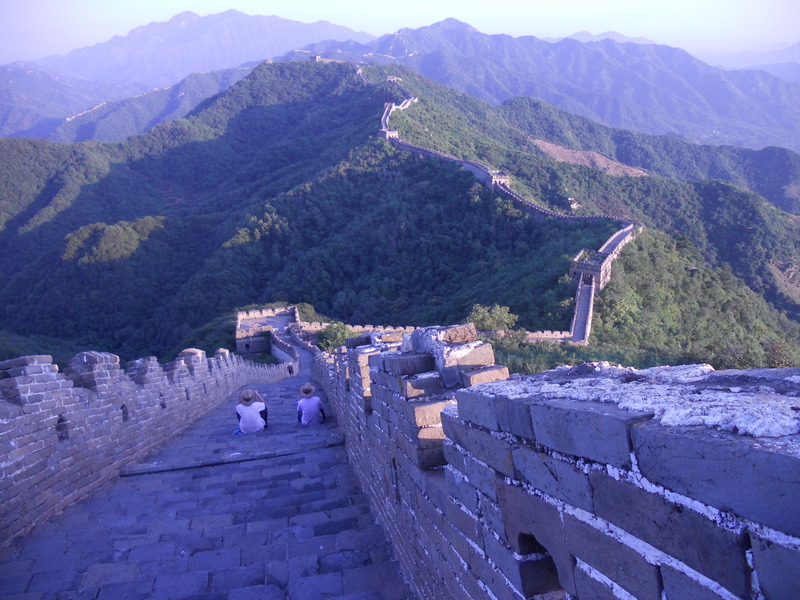 Great post, thank you!It definitely makes me want to add the great wall to my travelling “to do” list. It should definitely be on the “to do” list! Thanks, I hope you get a chance to do it. There’s a lot to see here. Your shots of the G W are impressive. They make me remember the times when I was there. i’ve now relocated to another area of China. It’s at Wenzhou, in the south-east of Zhejiang. you can read about it at http://da4was5ve.wordpress.com if your interested. Long after I wrote that post I worked for True Run media and had the chance to review different parts of the Wall. 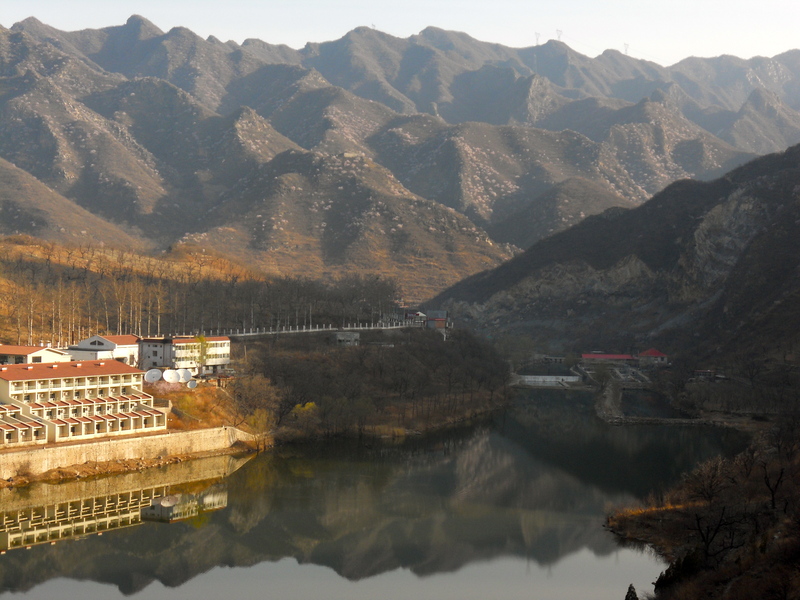 There are some very unusual sections – over a river, (Jiumenkou) underground (Zhangjiakou), underwater (Panjiakou), bullethole-ridden (Gubeikou), just-completed for the first time according to original plans (Laohushan, Dandong) and of course, jutting into the sea (Shanhaiguan). It’s a structure worth visiting at many sites! It was a great journey, and I hope to make it back again this year. Thanks for stopping by to read my post. Beautiful pictures! As my family travels the world for a year, we also try to find the authentic spots not too full of tourists (unfortunately rare at times) and I hope we will enjoy and discover the raw untouched Great Wall as you did when we travel to China soon! Even after travelling to so many amazing places in the world, the Great Wall left the deepest impression on me. I went to Jin Shan Ling in 2009 and some of the sections there were last restored during 1500s (Ming dynasty). I’m not sure whether it’s been further restored since 2009, but if you are interested in “crumbling” walls you might want to check it out. Look out for interesting details like the Ming dynasty’s “date stamps” on the bricks. Thank you! 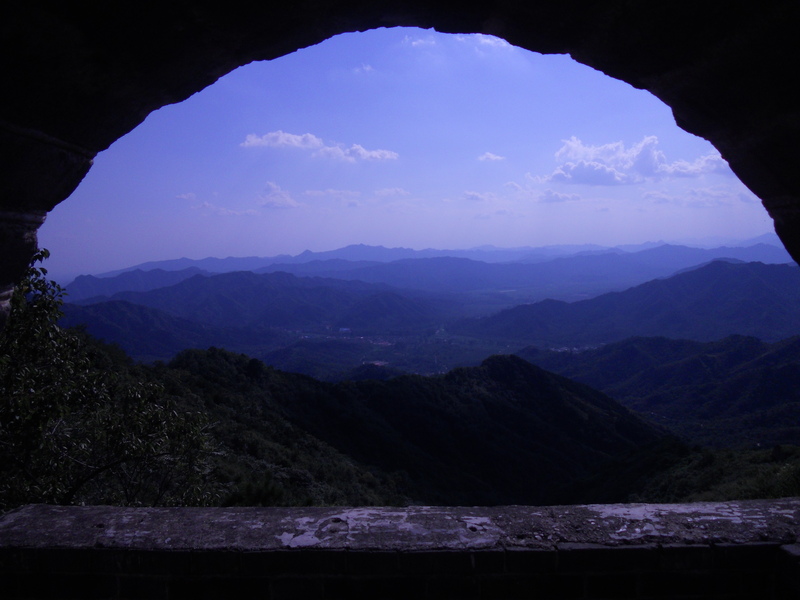 I went to Jinshanling last May, and it was great. I posted some pictures of the trip on my facebook page for my blog. You can check them out here if you’re interested. Kandxi, an emperor in Qing Dynasty, thought that to let people in the country to live and work in an affluent society, errecting walls to defense enermy is useless. the most important thing is to serve his people with mercy. i read this from internet. i think he is smart. No problem, glad you enjoyed the post. Thank you! I happened to be in the right place at the right time. nice photos.I think it will be beautiful when the great wall in the snow. I recommend jiankou great wall and simatai great wall. those two places are amazing. Thanks! I’d like to make it out there when it’s snowing. Unfortunately, I’ve had to work every time we’ve had a significant snow. I haven’t been to simatai yet, but it’s on my to do list. One on my list, thank you for the lovely photographs and the sharing. Thank you. I highly recommend it, especially the unrestored sections of the Wall. Great photos! My husband and I visited the Great Wall at Badaling. It was so cold at the base but we warmed up by the time we climbed! Thank you. What time of year did you visit? I went to the unrestored part of the Wall in April and it was still chilly. I agree anything testing the limits of man is great – thank you for sharing this wonder! No problem, glad you enjoyed the post! What an experience! My husband went to the part with the t-shirts but I’ve never been. I like the crumbling part with the ladder and your photos are breathtaking! Thanks for sharing them. Great post and congrats on the FP! If you have a chance go to jiantou. It is unrestored and unbelievable. The hike up was brutal and the trail was hardly visible at times. I used my hands to pull my body up. But there was hardly anyone there except a group of Chinese tourists who wanted to take a picture with me. It was unbelievable! There is a great blog I follow on China by Shards of China. Nick is an expat living there and has very enlighting stories. Thank for the recommendation. I’ll check out the blog. I haven’t been to jiantou, but I want to do some more hiking once the weather gets a little nice. I’ll have to check it out. Thanks! Badaling is one section that I haven’t been to. I’ve heard it’s super crowded a lot of the time, especially during the warm weather seasons. Wonderful photos…when I first & the only time went there I was little, and I did not explore great wall and feel the astonishment….thanks for uploading…. Thank you! I’m glad you had the chance to go, even if it was when you were little. Great photos, and neat adventure. Now come home and build the Great Wall of the USA along the Mexican border. Thanks for stopping by to check them out! Great photos!! Really made me miss the place – definitely looking forward to getting back soon!! Thanks Ben. I hope to make it back soon too … once it warms up a little. The winters around Beijing can be brutal. Nice. When I was in China last May, I visited the section at Badaling. I arrived right as the gates opened to let in tourists and it was already packed. However, for some reason, it seemed almost everybody wanted to go right after entering (it seemed to be some kind of lemming effect or something), so my friend and I went left. For about an hour or two we enjoyed the wall in relative peace. Then the crowd began to fill in our side. I was stopped about a half-dozen times by Chinese tourists wanting to take their photo with a big white-guy. Eventually, It became so congested that, at one point, I was unable to move for about 30 minutes. I was pretty sure someone was gonna get crushed to death, and I’d be genuinely surprised if nobody was injured. I’ll be going to Mutianyu next time. Thanks for signing up and leaving a comment! Interesting story. I’ve heard similar things too. I know that some of areas of the wall fell apart quicker than others because villagers who lived nearby stole the bricks and used them to build houses and other structures. the REAL reason this beautiful wall was built was to keep wild dogs out. This is definately a place I want to expore in the future. Thanks for sharing your experience! Excellent! It’s worth the trip. Just be ready for a lot of steep hiking. I was lucky to have a couple people with me when I went, which helped keep my mind off all the climbing. Thank you. I enjoyed your post about Bangkok. Good, tight writing and funny too. Your pictures are beautiful! Thank you for sharing! Wow, nice experience trip to this place. Thanks, it was a beautiful place! Enjoyed reading your post! Makes me want to visit the Great Wall one day. Thank you! It’s definitely worth seeing, especially if you’re into history. Oh my gosh. What a sight. What a wall!!!! How did they do this? The wall seems to go on 4ever. Loved this blog. Thanks Val! I’d love to see it from a helicopter or low flying plane to get an even greater perspective. wow really awesome. super jealous. great pictures! Thanks Connie, glad you enjoyed the post. Beautiful!! I’ve been to the Mutianyu section, which I enjoyed. I heard the Badaling section is even more touristy so I thought Mutianyu would be a better choice. I also wasn’t brave enough to go to the really crumbling parts. But it looks like you had a great experience! I’ve heard some horror stories from people who have gone to Badaling during the peak tourist season. A friends of mine compared it to waiting in line for a roller coaster. He said it was so crowded in some places that you couldn’t move for several minutes. Ooh, that sounds awful! What a terrible way to experience the Great Wall! This is fantastic! I have been to the wall in 1986 but only the stronger parts! Also my pix weren’t as good! Thanks! I hope you can make it back to see some of the crumbling sections too. I’m still amazed by the Great Wall of China. The purple overtones in your first pictures is beautiful. Thanks! I got lucky and went there in the spring, just as the the trees were blooming. It was a perfect day to take pictures. Beautiful pictures! I loved all the different locations and angles. Gave me a better understanding of it than I’ve ever imagined before! Nice work. Thanks a lot, I appreciate the compliment. One of the great parts about the wild sections of the Wall is that they’re not very crowded, so once you get up pretty high it’s very peaceful, like you said. I really enjoyed reading this and the ‘off the beaten track’ pictures of the wall are brilliant, hope you enjoyed yourself and I hope I make the trip some day. Thanks, I had a great time. It’s definitely worth the trip. The best time of year to come is the spring or fall, when it’s not too hot or too cold. Great photographs. I hope, It had been a wonderful experience for you. Thank you for sharing your experience. so interesting and great photos! I have yet to see the Great Wall but hope to some day! I had no idea that parts of the wall had been demolished for roads and a dam! I hope you get to also. It’s almost worth the trip to China by itself. From the stories I’ve read, there are several sections throughout China that have been destroyed for “progress” purposes, such as building roads. Somebody once said “You have no idea how significant an event is in your life, until it turns into a memory”. climbing the wall would definitely be a significant event for me 🙂 great pictures and nice narration. Nice quote. Thanks for the kind words! Gorgeous and quite the experience! I hope someday to see different parts of the wall like you have 🙂 Sooo awesome! It’s definitely worth visiting. There are many other structures and sites around Beijing that are historically significant, so there’s a lot of other things to see too. Thanks for reading! I did just that very thing about a year and a half ago, from a small midwestern Indiana town to Beijing. It can be done! Not to intrude on this comment conversation but Caroline, you should definitely give living abroad a try, at least for 6 months or so. It’s life changing! Jimmy, where in Indy are you from? I was born in Terre Haute, my extended family lives in Indianapolis, but I’ve lived in Texas most of my life. I’m in Taiwan now, working as a Technical Writer, but I visited the GWOC last CNY. It was nothing like I expected and absolutely incredible! I lived in Evansville for five and a half years, but I’m not from there. I was born in Detroit, but spent most of my life in Kentucky. My father got a job there at an engineering company when I was a kid, so that’s why we moved. I’ve been to Terre Haute once, for an interview. But I didn’t have a chance to do any exploring … How do you like Taiwan? I’ve read that a lot of the treasures from the Forbidden City are in Taiwan. I’ve always wanted to go there to see some of the exhibits. Taiwan is good, but it’s not right for me long-term. There are some incredible things to see and do here, and I appreciate the Chinese culture without the government interference. If you make it down here before August, let me know and I’ll show you around. Looks like an amazing place, nice post! Any idea how far you could see? I’m thinking some of the peaks in the last picture must be at least 50km away! Thanks for the kind words! It was easily 25 km. I’m more of word guy than a math guy, so I can’t say for sure whether how far it was. But the skies were crystal clear both times I went to the Wall. Awesome images … and the header image just drew me in. Thanks and well done. China interesting place. Favorite food. Nice blog. New here come visit. The way you wrote your journey made me feel like I was also in the place. Great shots!!! Thanks for the compliment! I set out to try to tell a story, in addition to the images. I’m glad you enjoyed it. nice scenery … awesome clicks !!! Great photos, I envy you… Must have been a wonderful experience. Thanks! I enjoy hiking, and it’s definitely one of the most interesting places I’ve been to. Great pictures. Visiting both the refurbished and crumbly parts of the wall is something I would like to do in my lifetime. Thanks! It’s easy to do if you can make it to Beijing. There are several sections within a two-hour drive. Just do a little research ahead of time on transportation options. Wow, amazing shots. Thanks for sharing and congrats on being freshly pressed! Thank you! I was very surprised when I found out. Spectacular – this is definately going on my list – thank you so much for posting it! Great! If you go to a wild section of the wall with a group, it’s not too expensive to get out there. Best time is in the spring or fall. what amazing scenery. it’s almost unreal. thank you for sharing. Thanks! I was fortunate in that the weather was great when I went and provided excellent lighting. Spectacular pictures, and memorable journey, no doubt. Thanks for taking us off the trinket shop track, Jimmy. Very cool. Definitely was worth the effort to get to the unrestored section. Thank you. It was a much different experience than the restored wall. Part of the fun was that there were so few people there … Some of the restored sections of the wall can get very crowded, especially in the fall in spring, when the weather is nice. And I see you just hit the Freshly Pressed page. That’s great! Powerful photos (envoking quite a bit of wanderlust on my part)! I sat here for quite a while (okay probably more like 5 minutes, but if you knew me, you’d know that IS quite a while) and thought about walls. Not so much about the challenge of construction / upkeep, not about the historical aspect and the significance – none of that. I was thinking about erecting walls for protection and how we all do that (do a certain extent) and I mused about a country, that referred to itself as the country of the middle (rough translation) would make itself so inaccesible from all sides. Obviously it protects those inside from the outside world, but it also estranges them through lack of outside influences. I wonder if this is good or bad or neither. -Not sure. Sorry, I’m guessing this was too much of my incoherent ramblings for this post, but somehow this just struck a chord in me today. Thanks for reading! I agree with you about a wall estranging a country from outside influences. China, in many ways, was estranged from the world until its economic reform policies. Now, there are some neighborhoods in Beijing with a Starbucks on the corner and a shopping mall on the other side that don’t look a lot different from a suburb in the US. Beautiful shots…feels almost like I’m there. Some of our presidetial contenders want to duplicate this effort on the southern US border. One thing I learned as a little kid, once somebody fenced in their yard, there was NO WAY to get in!